This is an interesting bit about the Titanic International Landmark. Scientists, Governments and others have attempted to protect the mammoth cruise ship from scavengers and even visitors, because of the damage they inflict. But after being under water for over 100 years, the forces of nature are destroying the carcass anyway; in spite of statutes and good intentions. So what is the right thing to do? Side story: Robert Ballard, the man who ultimately located the wreck, visited Scottsdale Community College while I was enrolled there during the early 90's. I went to his presentation where he explained how his little underwater robots worked, and saw lots of great early footage of the vessel right after it's discovery. His passion for the project was palpable, so his presentation really stuck in my mind. He was promoting the preservation of the site, and was keeping the coordinates of it a secret at that time. Visiting the remains of the doomed ship causes it damage—but so will just leaving it there. The bride wore a flame-retardant suit—and so did the groom. In July 2001, an American couple got married in the middle of the Atlantic Ocean, thousands of feet below the surface. In the background was an international landmark every bit as familiar as the Eiffel Tower, the Taj Mahal or any other postcard-perfect wedding photo destination. David Leibowitz and Kimberley Miller wed on the bow of the Titanic shipwreck, in a submarine so small they had to crouch as they said their vows. Above the water, Captain Ron Warwick officiated via hydrophone from the operations room of a Russian research ship. 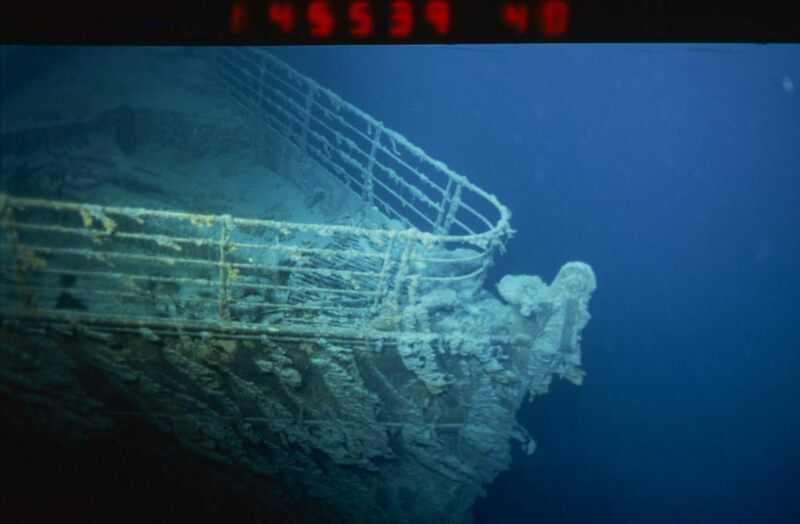 As opprobrium mounted, particularly from those whose relatives had died aboard the ship, a Subsea representative told the press: “What’s got to be remembered is that every time a couple gets married in church they have to walk through a graveyard to get to the altar.” Was the Titanic no more than an ordinary cemetery? The event focused attention on a predicament with no single answer: Who did the wreck belong to, what was the “right” thing to do to it, and what was the point of a landmark that almost no one could visit? I've had a lifelong interest in the Titanic. My father got me started when he told me the story of the ship. As a kid, he had watched an early documentary about the ship being filmed right near our home. They found the ship a few months before he passed. I remember the morning they announced the Titanic had been found. He called me all excited. I was glad that Nat. Geo had an issue out with pics before he passed. Best book about the disaster is Water Lord's A Night to Remember.